Beauty area ideas & Organised cosmetics! 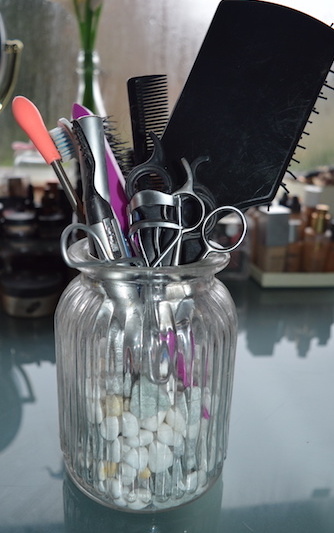 New years means new resolutions….mine was A) To eat healthy and cleanse and B) To organise my make up. A will come in a later blog but B has already happened! 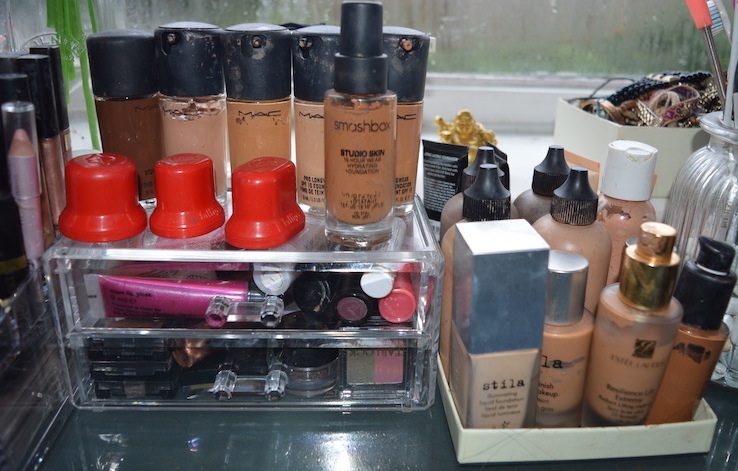 – I thought I’d share with you my make up organisation and tips and tricks I use to make make-up easily accessible. 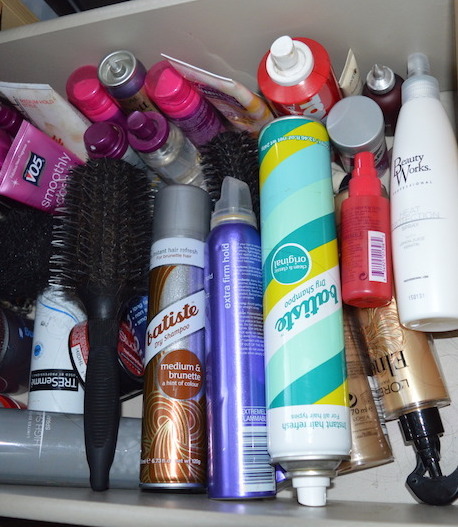 The first rule of beauty product organisation is keep put what you use daily, and get drawers to store anything you use on occasion! Create an area! A Vanity table, or dressing table is great…But have you considered using a desk?…Many come with a slide out drawers for keyboards, so handy for keeping palettes!…I have a joint desk/ make up desk so its easy to do – but for anyone that has room/lots of make up, they can be so great for items that can look messy on the surface. 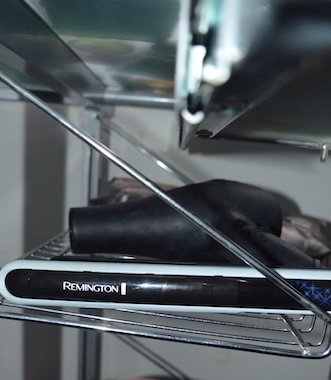 I also use the convenient pull down ‘paper sorters’ underneath to store and keep my hair styling tools which is heat protective and easy to use! Fold down paper trays can boule up as hair styling holders! Think of application! – I have my desk for make up by natural light for the best application and light for plucking eyebrows etc. 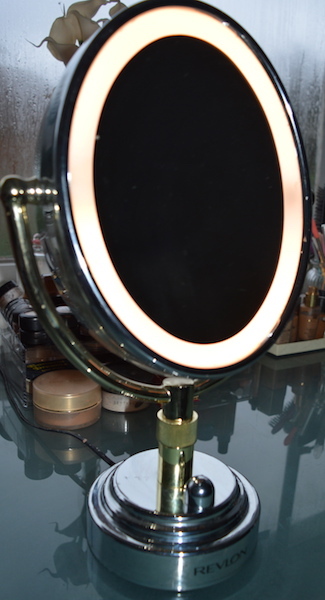 I also have a double sided, magnifying beauty mirror with rim illumination that mimics office lighting, outside light, soft light to make sure it looks great on different lightings. Get some acrylic! Everyone knows about acrylic organisation thanks to the Kardashians sisters. 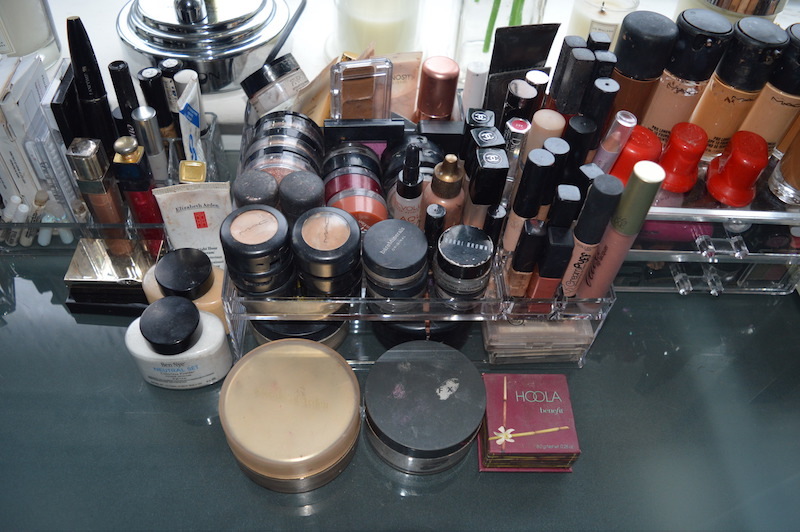 These amazing sorters are great for having make up look clean and still be able to see whats stashed in it! 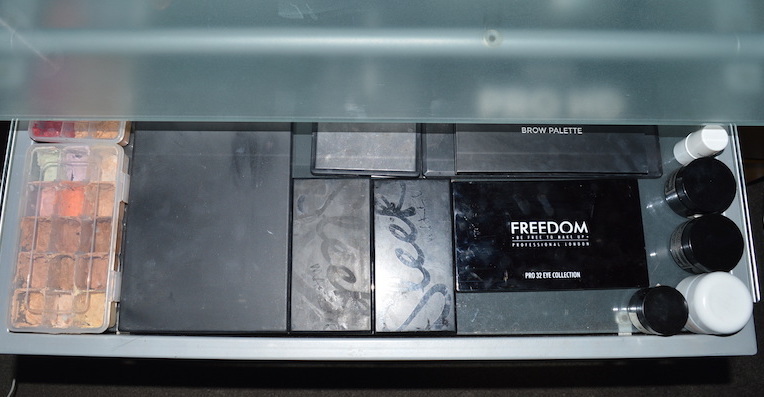 I have the lipstick sorter, some drawers, and various sorters – but I’m yet to find the perfect large sized draws. 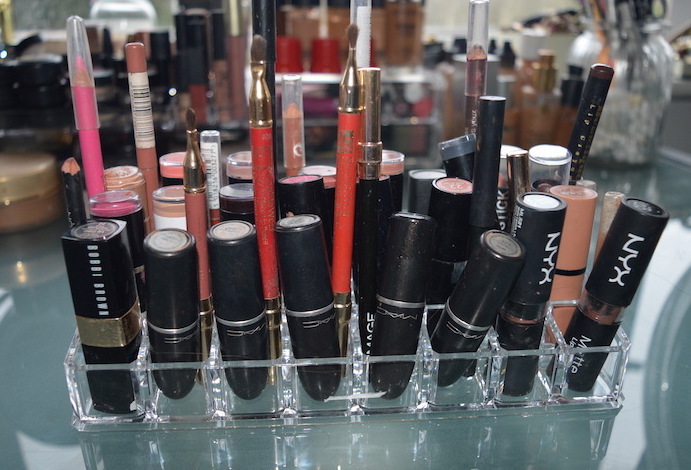 Double up and organise liners with lipstick, this saves time when looking for the perfect match! My sorter has just enough room for both. Putting the lipsticks lid side down means you can see the colour without searching! 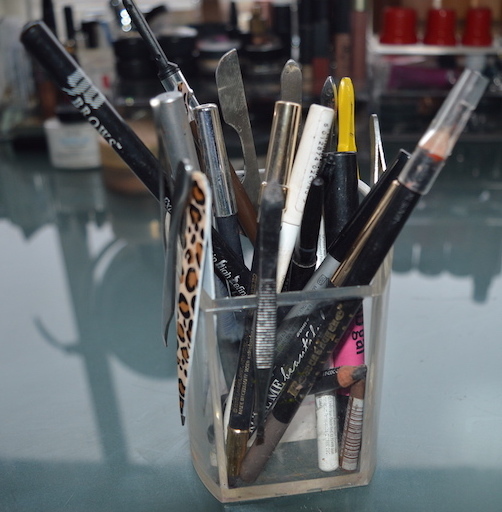 Organise eyes and lip pencils in acrylic pots. Acrylic from specialist make up suppliers can be costly, some pieces are great but some little hacks can help your collection come along. You can buy acrylic pen holders from Stationary supply stores for a few pounds and are great for pencil cosmetics! 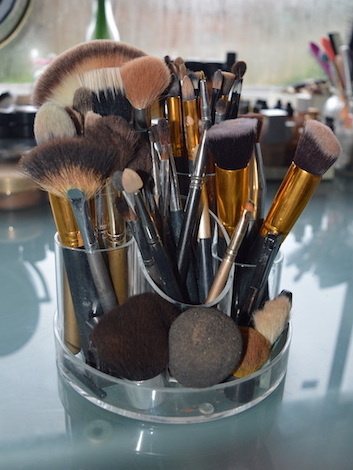 Organise your brushes in Stationary holders. You know the desk tidies for stationary with all the different sized compartments – These are AMAZING for brush, you know as some brushes are tall, short, fat, skinny, you can sort by size or area it applies to make finding the perfect brush easier! Glass jars! – These are great for bigger items like hair brush’s when filled up with decorative stones. They are also great for cotton wool! Box tops are great for foundations – sturdy cosmetics box’s like Jo Malone box’s or subscription boxes are great to store little bits in, in a drawer…but the lids are great to keep foundations tidy and uniformed, as they are shallow and unobtrusive! Use deep draws for easy categorisation of other beauty products that you don’t use everyday. I hope this helps and give you some inspiration to get your make up tidy and create a great space for beautification! Previous Article← Spend .VS. Save – £370 designer cosmetics vs £57 drug store products!